I have been on a muffin kick lately. 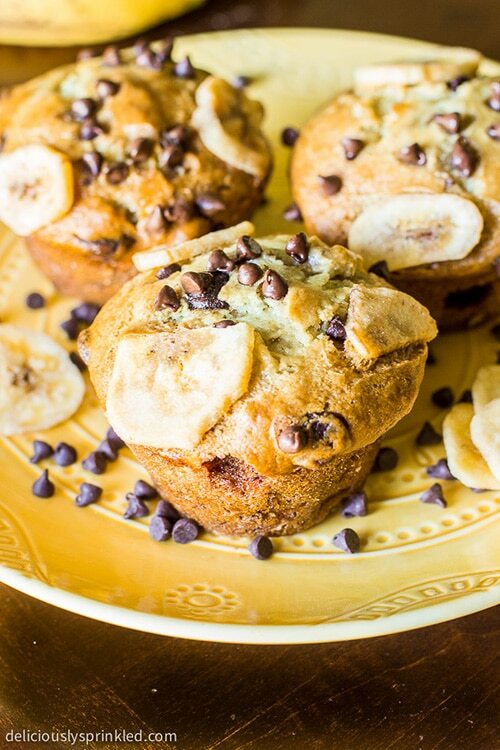 I just couldn’t get enough of my Peanut Butter Banana Muffins, they were gone way too fast. So today, I thought I would take the same recipe I use to make my popular Homemade Blueberry Muffins to make these delicious Chocolate Chip Muffins. These muffins are definitely a family favorite at our house and I know once you make these Chocolate Chip Muffins for your family, they will be a favorite in your house too. And your kids will love it because it’s like eating chocolate chip cookies for breakfast! ✔ I love using buttermilk in this muffin recipe because it makes these muffins super soft and tender, just how everyone loves them. But if you don’t have buttermilk in your fridge, no worries. You can simply make your own homemade buttermilk with only two simple ingredients. All you will need is cow’s milk and lemon juice. ★ To make it super easy for you to make your own buttermilk, here is a step-by-step guide on how to make homemade buttermilk here, it’s super simple! 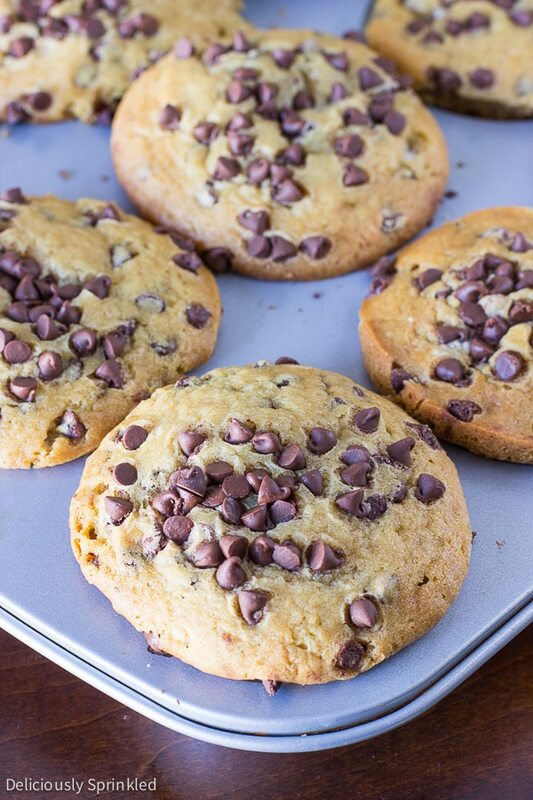 ✔ I like to use an ice cream scooper to fill the muffin batter into each muffin tin. I think it makes it super easy and you know that each muffin will be the same size. 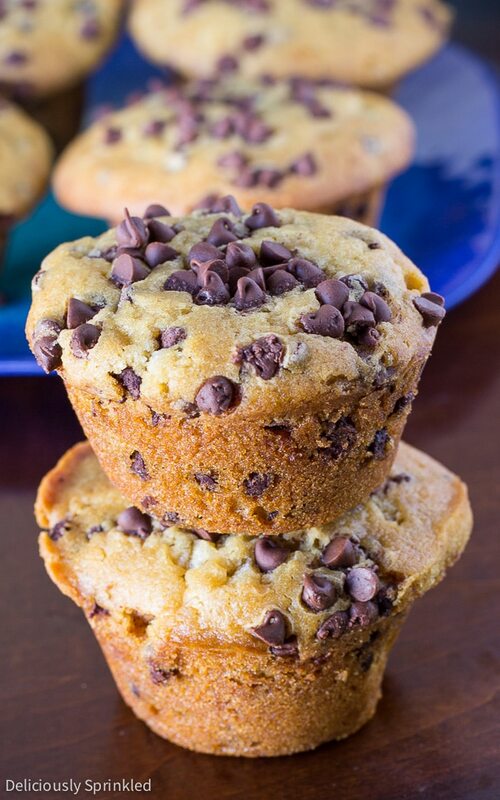 Using an ice cream scooper, scoop muffin batter into prepared muffin tins.Press additional mini chocolate chips onto the tops of each muffin. Hi ! I’d like to know what do you mean by 2 1/2 cups is that 2 + 1/2 or 1/2 x 2 ? 2 cups + 1/2 cup. Enjoy! Holy smokes just made these and they are awesome! Best tasting muffins I have ever made. 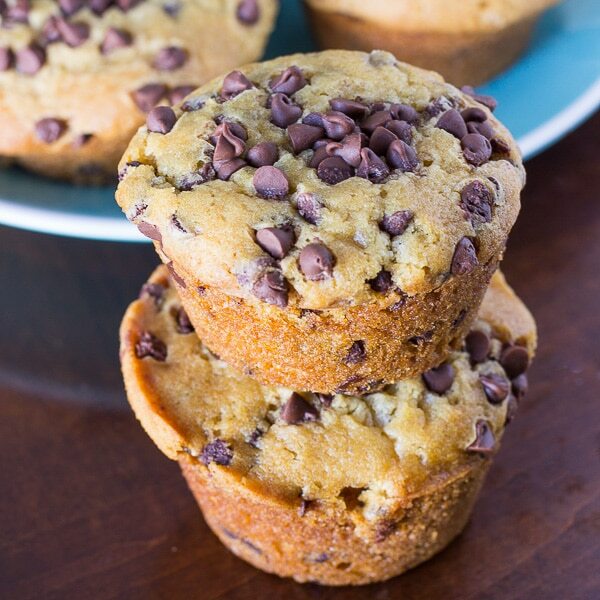 You can never have too many muffins in the house or chocolate chips 😉 these look great!!! Oh these look so good! thanks for sharing the recipe, I cannot wait to make them!